Let’s meet at our psychotherapists. 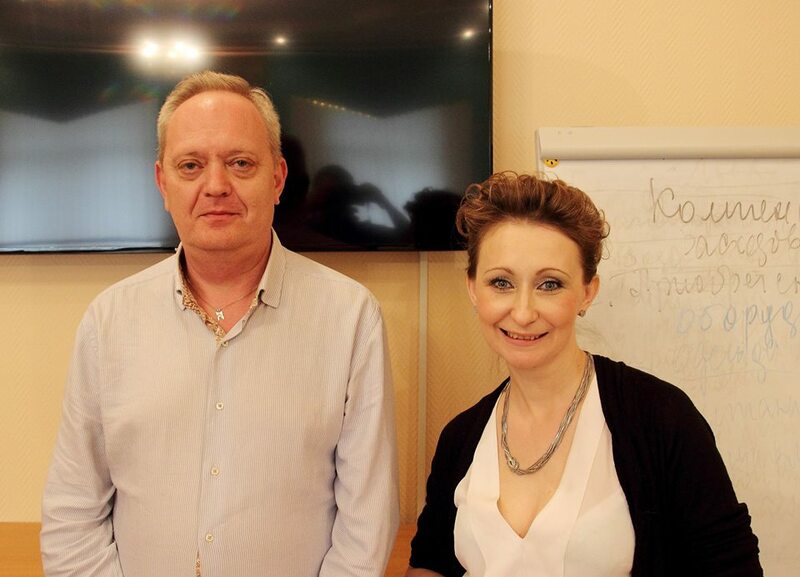 Ekaterina and Alexey – they are a family of psychotherapists with a huge experience in the field. We have asked them a few questions and discovered how psychology took such an important place in their lives. You will learn about their main qualification, their education history, them entering the field and what has captured them within the field for so long. Alexey: I suppose I will start. Bearing my age, I have a vast experience. I have graduated from the medical school as a General Practitioner, cardiologist then worked in A&E service on the frontline. At the time of the soviet union collapse, I left Russia and lived in Israel for about 9 years. In 1998 I have returned to Russia and dived into the agricultural industry. Started as a junior regional manager and gradually built my way up. At some point, the need has appeared for staff training, which I have conducted, and loved it. To ensure training is delivered professionally I have applied to study psychology at university. The profession has earned so much of my interest that primary aim became secondary and I have decided to proficient my knowledge of the field, I have started attending various courses, training sessions and so on..
Ekaterina: Actually, my first degree was in Fashion Design. In my younger years, I have managed to work as an artist and a dresser in the theatre. Then I got married and gave birth to children. I was considering my second degree at the same time. I could not make my mind up between the art criticism, which reflected my first degree and psychology, which I was simply interested in. I went for psychology in the end. Studying at the School of Psychology only carries a comprehensive explanation of the field and what psychology means in general, so I have started seeking specialised courses. Whilst at Uni, we had seminars which let you come in touch with a job, understand it better and make a conscious choice on whether you want to commit yourself to the job or not. I was graduating in art therapy and fairy tail therapy. Whilst studying I already knew I will be seen as young and inexperienced specialist where consultancy won’t let me earn for my living. Hence why in parallel to psychology I have graduated from HR course at MSU and dived into business psychology. I have worked there for a long time and obtained some experience in consultative practice, however at the time, in Russia, it was not a job which could make you financially independent. One of my final qualifications, delivered to me by Austrians, was integrative pediatric therapy for children and teenagers. There is currently only one institution, namely “Genesis”, that works in the specific field and developing it in Russia. Periodically I am working with children with cognitive and emotional disorders. Also children with ADHD (attention deficit hyperactivity disorder) – it is a speciality which I am currently actively practising. Also, I left business psychology behind about 7 years ago and never returned to it. I was practising various training and coaching for a long time until I got bored with it, so I do prefer working with children, prefer it more to working with adults. They much pleasant to work with (laughing), and I simply enjoy it. My specialisations are children (three years of age +) and teenagers with all kind of psychological needs. I and Alexey now are actively conducting seminars for parents on the topics of “how to talk to children and how to communicate in general”. From the feedback of parents, we know these seminars are useful and help them better understand their children.